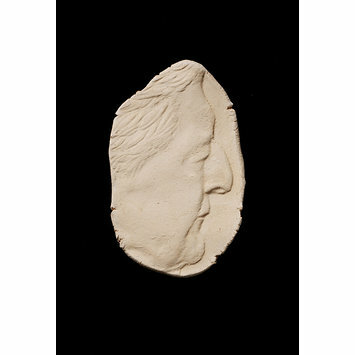 Jane McAdam Freud is a sculptor and medal-maker whose work explores and challenges the traditional definition of a medal. 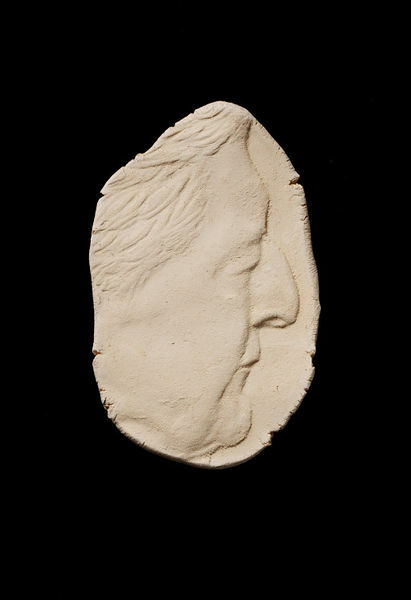 This piece is derived from a commemorative Christmas medal in bronze, commissioned from Jane McAdam Freud by Sir John Paul Getty Jnr and his wife, Victoria, to be given to members of their staff, but here it is produced in stone clay (terracotta). However, it conforms to the traditional concept of the portrait medal in having an image of a person on the primary face (obverse) and a message on the reverse alluding to a specific moment in time - in this case the conference organised by the British Art Medal Society in Manchester which took 'The medal as gift' as its central theme and at which this medal was presented to a Curator from the V&A for its collection. The inscription 'MAN.U from me' combines a resonance of a significant aspect of Manchester's identity - Manchester United football team - with the fact that the medal is a gift. In fact at the conference, the maker gave examples of her work to five private individuals and to five museum curators for their collections. Profile portrait to right of the late Sir John Paul Getty Jnr (1932-2003) born Eugene Paul Getty, name changed legally later. Reverse inscribed. Image based on a commemorative Christmas medal commissioned from Jane McAdam Freud by Sir John Paul Getty Jnr and his wife, Victoria, to be given to members of their staff. Given to the Museum by Jane McAdam Freud. Jane McAdam Freud addressed the British Art Medal Society Conference in Manchester on Saturday 7 May 2005. The conference theme was 'The medal as gift' and her talk was called 'Token or Treasure an Artist's Perspective'. The artist concluded with a request for 5 volunteers to step forward, followed by 5 named curators - Mark Jones, Director of the V&A, Luke Syson of the National Gallery, Phillip Attwood of the British Museum, Henry Kim for the Ashmolean Museum, Oxford, and Wendy Fisher for the V&A. 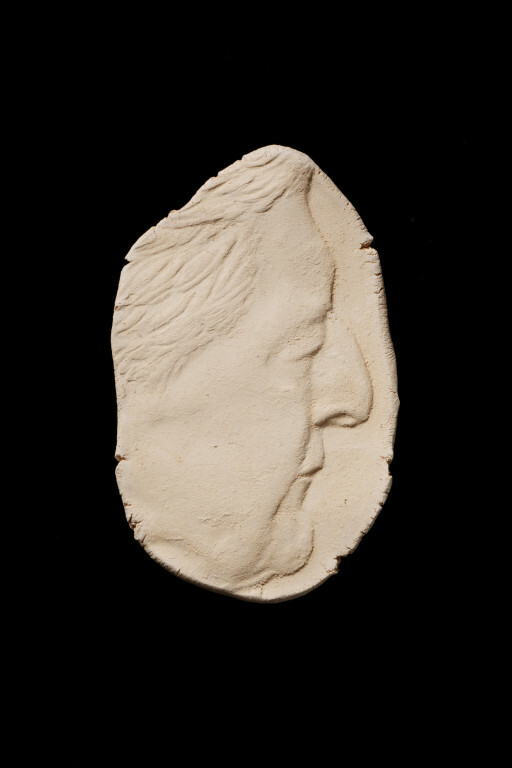 Each of the curators was presented with the portrait relief of Sir John Paul Getty Jnr for their collections and the 5 volunteers were also given portrait reliefs as personal gifts. The inscription on the reverse refers to Manchester, its football team, Manchester United, and to the the central theme of the conference 'The medal as a gift'. It also carries the artist's initials, the date and edition number.